David Strah’s “Gay Dads” offers an insightful look into something that straight couples….and to some extent, Lesbian couples, often take for granted….the ability and option to bear and raise children. 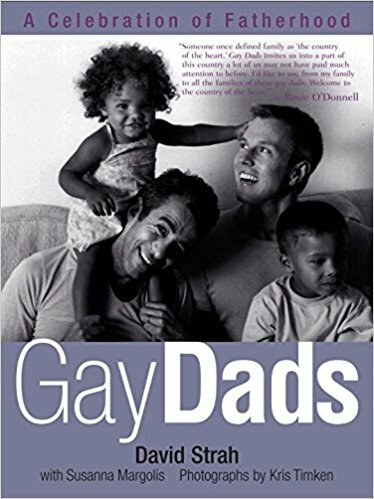 The term “Gay Dad,” one seems to be an oxymoron, even within the Gay community itself; but the book spotlights a changing attitude among gay men toward fatherhood. It is something that is possible and should be embraced. Strah profiled two dozen examples of gay men being fathers, many of which involve couples, with notable exceptions, like the gripping chapter “Safely Home.” Strah (along with Susanna Margolis) detailed the problems these men faced in trying to be fathers. Each is an epic quest in itself, filled with Herculean obstacles. The first obstacle is biologically and patently obvious; men can’t get pregnant, and in real life, not all Wills have their Graces. This leads to many of the men in the book to adopt children, often outside of their race. The biological barrier pales when compared to the second obstacle: being gay; which opens a Pandora’s Box filled with cans of worms. If “normal” straight couples are having a hard time adopting children, imagine what it is for a gay couple. The book reveals that the process of adoption is a bed of roses, complete with the thorns. Even in the 20th century, attitudes toward men, particularly gay men, raising babies are enough to give adoption agencies and social workers pause, and not all women are willing to have their babies adopted by gay men, much less the babies’ biological fathers. The third obstacle, which would be interesting to see 15 years down the road, is how the children will react when they are old enough to realize their parents are not “normal”? This is a situation not helped when some of the kids are biracial and/or of a different ethnic background from their fathers. How will the world react to them and what bigotry and prejudices they will face along the way? All the men Strah profiled related their own experiences in going through all these barriers. Strah saved the last chapter for himself and his partner. Upon reading them, a common theme ran through the book. If given enough courage, perseverance, persistence, and conviction, anything is possible. I recommend everyone, straight, gay, black, white, whatever, to read this book. It might be about Gay Dads, but its themes of love, tolerance, and understanding are universal and apply to everybody. Those who are more close-minded will probably think this is a work of propaganda to promote the “gay agenda” by detailing only the good and ignoring the bad. Well, surprise! Not all the profiles have hunky dory happy endings. Overall it is an enlightening book. Ultimately, Gay Dads proves that unconditional love transcends race, gender, religion, and yes, even sexual orientation. 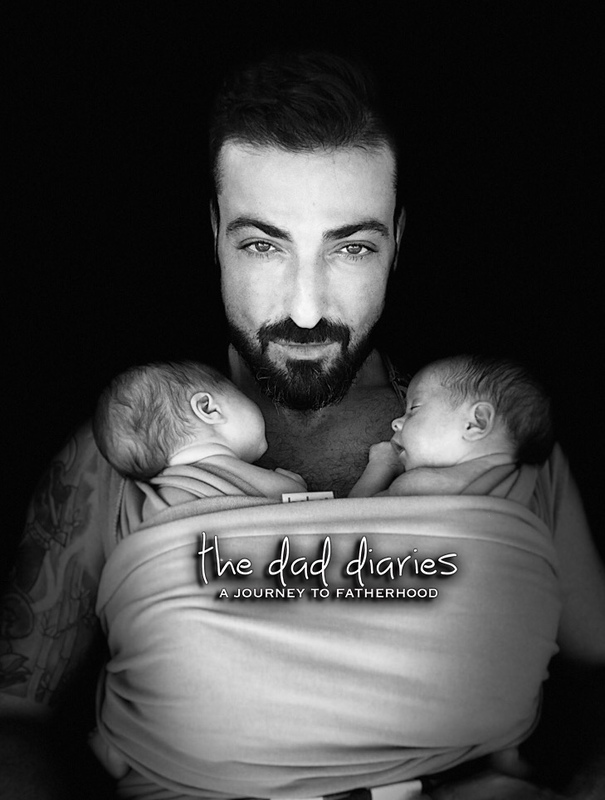 Look at the black and white photos of the dads and their children. Look into the infinite joy and innocence in those eyes and faces. Isn’t that what really matters?